In the past few decades, China has put substantial efforts into liberalising its trade and economy that accelerated after its accession to the World Trade Organisation (WTO) in December 2001. In this period, China has significantly reduced its tariffs on manufacturing imports. However, the proliferation of non-tariff measures imposed by China has made it the country notifying the second largest number of technical barriers to trade (TBTs) to the WTO after the USA. Nevertheless, there has been no case in the dispute settlement mechanism of the WTO against China violating the TBT agreement. This paper investigates the heterogeneous impact of Chinese TBTs on the imports of manufacturing products at the 6-digit level of the Harmonised System during 2002–2015. Heterogeneity of exporting firms, sample selection bias, multilateral resistances, and endogeneity bias are controlled for according to the recent strands of gravity modelling. Using the disaggregated data and controlling for these problematic issues in the estimations, paper finds no significantly overall impact of Chinese TBT on imports in comparison with earlier studies in the literature. However, the impact differentiated across exporting countries hints at prohibitive effects against few exporters. The impact on traded prices and quantities provide more insights on how these TBTs affect different exporters. The imposed standards and regulations embedded in these trade policy measures allowed the Chinese economy to gain better access to larger exporters from the more developed economies who could easily comply with TBTs without increasing prices but substituting those exporters who did not comply with TBTs, leading to an overall insignificant net impact on imports values to China. The online version of this article ( https://doi.org/10.1007/s00181-019-01690-9) contains supplementary material, which is available to authorized users. 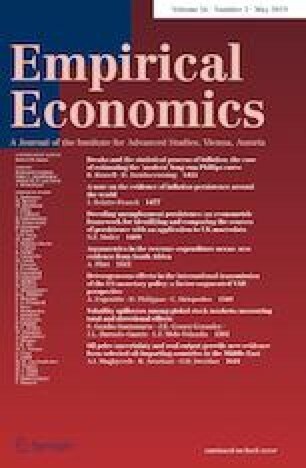 I am obliged to two anonymous referees and the coordinating editor of the journal of Empirical Economics, Robert M. Kunst and to my colleague Robert Stehrer (wiiw) for their reviews and constructive comments to the work. Thanks should also go to the participants of the 10th FIW Research Conference on International Economics in Vienna, and the participants of the workshop at the Institute for Management and Planning Studies in Tehran (https://www.imps.ac.ir/).